Hairstyles are something that defines a fashion sense of the person. These days, people, especially women are very much conscious about their hairstyles. They try different kinds of hairstyles to enhance their beauty. Experimenting with hair has also become a fashion. Classic hairstyles have become quite popular among the women. The hairstyle which was in fashion earlier is now even tried with a twist. Among braids, crochet braids are quite popular. Classic hairstyles with braids are very popular. Crochet braids hairstyles are very much in fashion now. They look very trendy also. The crochet braids are very fashionable with casual as well as formal outfits. These braids can also be made to look fashionable with straight, wavy or curly hair as well. Therefore, the hairstyle can be well carried off with any kind of hair. The crochet hair can be styled very easily and also easy to maintain. Crochet hairstyle can look fashionable in short as well as long hair. They can be made to look good in different kinds of style. The Senegalese twist crochet braids can be done in the longer length of the hair. The long hair is twisted and made into braids which are made to fall elegantly. Braids are done taking small sections of the hair and they are made into separate braids. The small sections of twisted braids are done very neatly and elegantly. This neat crochet braid hairstyle can be worn with any casual or semi-formal outfit. A neat makeup can be best paired with the hairstyle. The short hair can be made into crochet hairstyle as well. The hair length is shoulder length. The hair strands are curled elegantly and the braid crochet hairstyle is done all over the head. This crochet hairstyle is best suited for a formal look and with formal outfits. This is a very good hairstyle for the thin texture of hair. It makes the hair look voluminous. The small crochet twist style is best for long hair which is sleek and has a fine texture. The small crochets look prominent in the long hair. The hair is divided into small sections and each section has been made into small twisted crochets. The sleek hair makes the crochets straight and keeps them in place. The braids can be left open or twisted to a loose bun on the top of the head. For someone with an oval face and defines features of the face, the mambo twist crochet braids are a perfect choice. The hair is middle parted and has medium length. The twisted braids are done in all the strands of hair. The hairstyle is done casually so that it can be worn with the casual outfits. To keep up with the hairstyle, the makeup is kept simple and light. Tight crochet braids are very much in the recent trend now. The tight crochet is very easy to make and maintain. The hair strands at the front are parted sideways. Taking small sections of the hair, they are made into very tight crochet braids. The tight braids make them secure and keep them in place. Hence, these braids are very convenient to carry and wear. The braided side curls free tress crochet hair is a super cool hairstyle which can be best worn with minimal makeup and casual outfits. 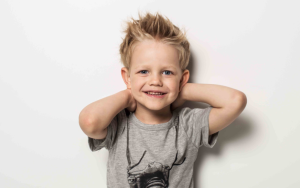 This style is so cool that a cool t-shirt can also be suitable for this hairstyle. The crochet is done and the hair strands are made curly and frizzy. Hair from one side of the parting has been slightly pulled back. Rest of the hair is left open. Ocean waves crochet waves make the hair look very elegant and stylish. The hair is casually side parted. The loose flowing hair has been made in casual and elegant curly crochets. The length of the hair is medium and is till the shoulders. The ocean waves crochet braid can be easily worn with the casual or semi-formal outfits. Light makeups with highlighted eyes are best suited with this hairstyle. Hair which looks bouncy is the dream of all women. The hair length is medium long. The hair is side parted. The crochet hair is made bouncy by taking small sections of hair and styling them individually. The elegant and soft curls are made in the hair which makes it look bouncy and graceful. For an elegant getup, an elegant dress for party wear can be paired with the hairstyle. Faux crochet dreadlocks are very cool for a bohemian look. Taking sections of hair from the head, they have been twisted and curled and dreadlocks have been made in the hair. The usages of the colorful articles make the style more chic and cool. The faux crochet dreadlocks are best for any casual outfit or bohemian outfit. A neat makeup is best for this hairstyle. This hairstyle is best suited for a neat and carefully styled look. The front sections of the hair have been tightly styled into twisted crochets. The braids are made very carefully and the crochets are made finely. The braids have been made in the front sections and then pulled back and made to fall free with the rest of the hair. The entire hairstyle is done very carefully and neatly. The free tress island twist crochet braid is a unique style which can be styled to make the entire getup look trendy. The hair is side parted very neatly. The sections of the hair have been taken and made into crochet braids which are freely left open. This looks adds volume to the hair. 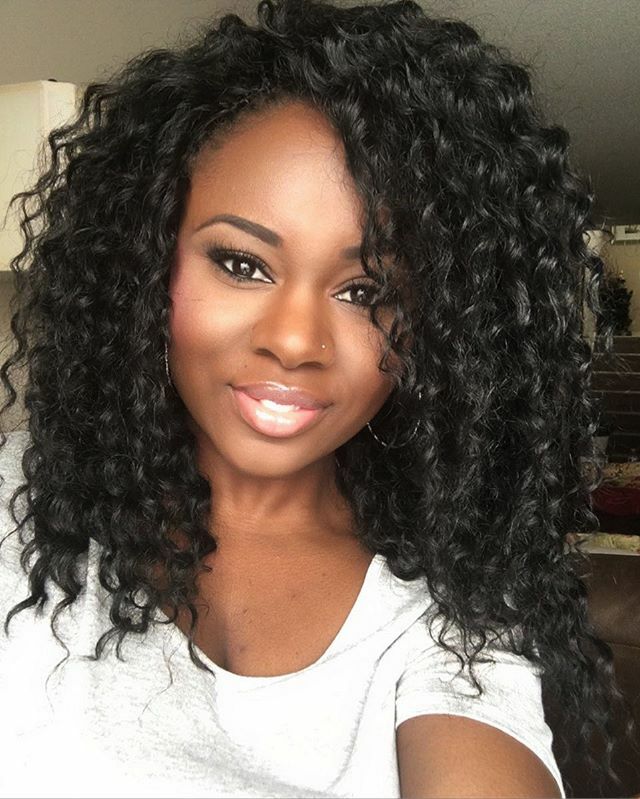 The free tress style in crochet braids is a very fresh yet unique hairstyle which makes them look fashionable and trendy. The hair length is medium till the shoulders. The hair is highlighted and is parted on one side. The entire hair is flipped to one side of the head. For an ultra-casual bold look, this hairstyle is suitable to carry. The bouncy twist out crochet braid demonstrate how much variations can be done in the crochet braid variety. The maximum hair is pulled over at one side of the head. The braids are done in the thicker sections and they have been twisted outside to create a fresh new look of the crochet braids. This unique style merges the crochet braids with the casual hairstyle. The crochet braid has only been done in the front portions of the hair. Rest of the hair is gelled and carefully left open. Crochet braids at the front strands have been done intricately and only in a small section of the hair. To add extra volume to the hair, the curly crochet braids can be tried. This can be done in straight hair or curly hair as well. The fine strands have been taken and made into curly crochet braids. Highlighted bold makeup is best suited for the hairstyle. A bold dress can be perfectly paired with it. In the crochet faux loss, all the hair has been taken and styled into the crochet style. The hair strands are elegantly twisted and intertwined. The strands are made to fall freely over the shoulders. All the hair strands have been elegantly styled and it gives a neat look. This hairstyle can be worn with casuals. A headband can make any hairstyle look cool whether it is a bad hair day or a good hair day. The hair length is long and is till the shoulders. Box braids crochet style has been done in the hair and it is done very finely. The headband is used in the front portion of the head and is pulled backwards. The length of the hair is medium. Crochet braids can be done in medium hair and yet made to look good. The fine crochet has been done taking small sections of the hair. Few strands have been taken and tied at the top of the head to add the twist to the hairstyle. The long twist crochet braids are suitable for long hair and for hair which is sleek and thick. The thick braids have been done all over the head. The front section is styled a bit to look like a headband. The makeup is kept light and minimal to complement with the hairstyle. The crochet braids with open ends is a fresh new style which can be paired with any bold dress and makeup. The thin and fine crochet braids are done at the front portions of the head and rest of the hair is left open. The hair is casually mid parted. In the thick crochet braids, the braids are done taking thicker sections of the hair. Few sections of the hair have been twisted over to the other side for a different look. This hairstyle can be worn with any bold dress and complementary makeup. The forehead and the front portion of the head are kept neat. The crochet braids Hairstyles must always be done based on the hair texture and the length of the hair. It must also be done so that one can carry it comfortably with the outfit.